Are you in need of a reliable, ethical and professional Saskatchewan Mortgage Company? Well search no further, your search is most surely over. Focus Mortgage Solutions is the leading Saskatchewan mortgage company in the region. We combine years of experience with an uplifting attitude to keep things stress-free and fresh, while also maintaining an extremely professional disposition. CLICK HERE TO VISIT OUR WEBSITE AND SEE WHAT FOCUS CAN DO FOR YOU. FOCUS Mortgage Brokerage Company finds creative solutions when handling your lending and mortgage transactions. It has been our experience that our clients return to us with future brokerage dealings because we make a rather unpleasant experience run as smoothly and efficiently. Focus continues to be the leading Saskatchewan Mortgage Company because we have committed ourselves to delivering clients premium brokerage services no matter the circumstances. Our services are affordable, private, ethical and always professional. -- AND FUN! Focus Mortgage Solutions is Saskatchewan's best Mortgage Company in the province. Just ask our clients, they will vouch for our impeccable reputation to finding creative mortgage solutions to suit just about any situation. We are known for having a good sense of humor and being easy to work with as well. Let's be honest, how disheartening is it to finally have enough saved up to put a down payment on your dream home, and then the wind is quickly taken out of your sails when you see the inflated insurance rates you're facing? Well our exceptionally savvy Saskatchewan Mortgage Broker Professionals are hip to your mortgage goals. Focus Mortgage Solutions is prepared to overcome, with you, the many hurdles that are encountered while attempting to get a fair loan and interest rate. It's not a "cut and dried" product - and lenders love to request a lot of documentation. Be prepared to provide 2 Years of Most Recent Income Tax, including the T1 General and the Notice of Assessment (NOA) and proof of No Income Tax Owing. 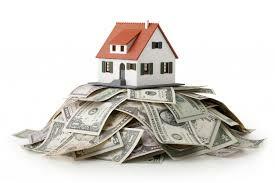 If you do owe Income Tax...it MUST be paid in full prior to receiving your new mortgage. The even better news is that you can still enjoy the low interest rates as everyone else! We don't penalize you with a higher rate. Does that sound reasonable? Yes? Click on the "Apply Now" button below to get started! Creating a trusting relationship with our clients is very important to us at Focus Mortgage Solutions. We still very much believe in the integrity of a hand shake, instead of replacing that with a generic mailer or impersonal automated emails. As the leading Saskatchewan Mortgage Broker Company we have successfully grown our business because of our dedication to exceptional customer relations and ethical business dealings.